There were days when the only solution for a damaged tooth was to remove it entirely. Well, those days are gone. Unique Dental offers you the option of Root Canal Therapy. This cutting edge dental treatment replaces the need for teeth extraction. Root Canal Therapy involves removing the nerves and dental pulp entirely from the internal structure of the tooth. Afterwards the hollow space caused by this removal is filled with appropriate material and the tooth is capped off. 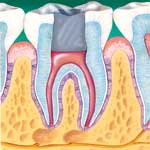 What triggers the need for a Root Canal Therapy? A normal human tooth has distinctive internal anatomy. The internal structure of a tooth is called the pulp. The pulp consists of nerves, blood vessels and adjoining lymph material. Sometimes a dental pulp is exposed to infection usually through a cavity or injury. A damaged tooth tries to heal itself and the internal immune system makes its best efforts to get rid of the infection on its own. If the body fails in stopping the infection, the pulp can either die or it causes severe pain. Why you should opt for a Root Canal Therapy? Patients who undergo a Root Canal Therapy sometimes complain about irritation for a few days following treatment. Unique Dental will prescribe you appropriate medication to make your after-therapy recovery comfortable. Unique Dental has dedicated its dental services for perfect oral health of our clients. We take nothing from granted because its matter of your teeth. Fill in this online form now and tell us about the pain you are experiencing so that we can arrange an appointment. If you want to preserve your tooth and get rid of the pain as well, then visit us at Unique Dental. Contact us now! We consider it our responsibility to dispense a range of dental services that are effective as well as affordable. These services are designed in a manner to help you get sparkling teeth to flaunt without having to pay an unbelievable amount of money for those teeth. Our ability to match our clients’ needs sets us apart. © Copyright 2017. All Rights Reserved by Unique Dental Clinic.